“Although there are signs that the situation is improving, the degradation of the power system is such that we cannot be sure if the fixes are durable. Until recently, Venezuela’s oil production had stabilised at around 1.2 mb/d,” the IEA said in its March Oil Market Report. Independent analysts have estimated that Venezuela’s oil exports may have temporarily plunged as low as 500,000 bpd after ports and other oil operations went offline due to the blackout. The electricity losses have been mitigated somewhat in recent days, and a key oil export terminal recommenced operations, but the threat to supply is significant. Moreover, as the IEA notes, the quality of production that is being held on the sidelines by Saudi Arabia and its Gulf allies is similar to that of the heavy oil in Venezuela. 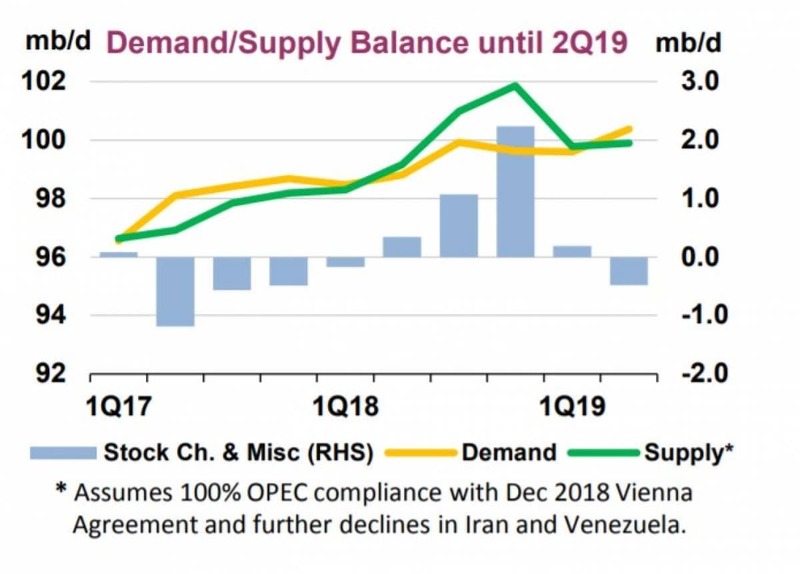 “Therefore, in the event of a major loss of supply from Venezuela, the potential means of avoiding serious disruption to the oil market is theoretically at hand,” the IEA said. This time, Saudi Arabia will likely be more willing to let the market overtighten rather than return supply to the market too soon. “The OPEC Secretariat called upon oil producers yesterday to prevent another oversupply this year at all costs,” Commerzbank wrote in a note to clients on Friday. “This sounds like an appeal to extend the production cuts – which will expire mid-year – until the end of the year.